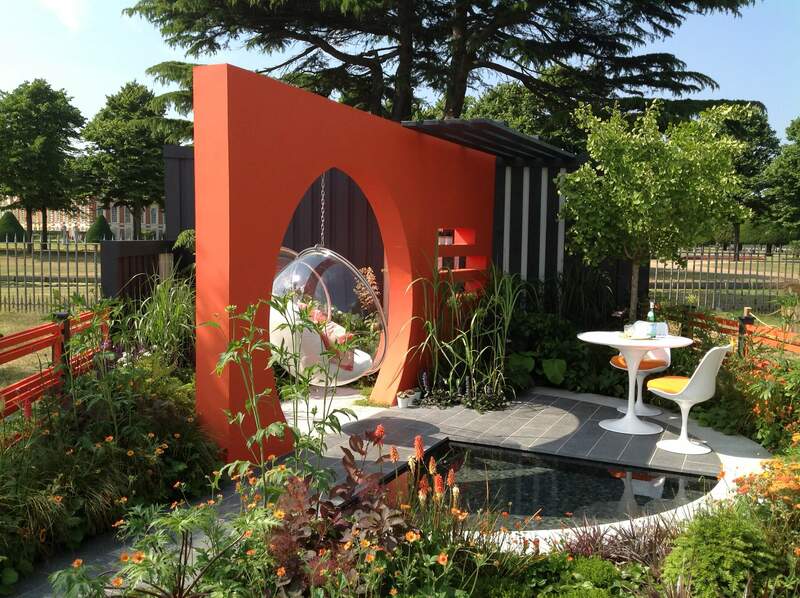 With the Hampton Court Flower show just around the corner, many people will be attending with the idea of getting some inspiration and trends for landscaping their own garden. They will hope that the designers who have designed and created the gardens there will inspire and encourage them to be able to incorporate something similar in their own garden design. Of course budget will need to play an enormous part in how realistic some of the ideas are. Landscape gardening can be an expensive business so if there is a budget, it needs to be stuck to. Also, it depends if you are going to be doing it on your own or if you are able to employ a landscape designer or gardener such as ourselves. There are many different landscaping styles and trends, and depending on where you live and your aspirations will depend on the style of garden you choose. If you live in a city and have a small garden or maybe even just a patio or paved area, you may wish to make your garden more of an outside room with minimalistic planting and seating made of stone or wood, with outdoor lighting to enhance the feel of a living space. A contemporary style may also work well in this type of garden. No fuss and clutter, just clean lines in the way of clipped hedges and white fixtures. Water also works well in a contemporary style garden as a way of lighting areas and creating sound. Bigger gardens and spaces lend themselves to the contemporary style also, but there are additional styles that also work well. A Mediterranean style, that will remind people of summer can look beautiful with gravel paths and large pots and urns filled with drought resistant plants such as lavender, olive trees, rosemary and of course vines growing up pergolas..
Then there is the wildlife friendly style of landscape gardening with logs and wood structures and little areas of water that will encourage wildlife into your garden. Many different types of plants that are attractive to pollinating insects. Some gardeners embrace the entire colour spectrum choosing not to restrict their choices whereas others are inspired by the likes of Hidcote’s red borders and Sissinghurst’s white gardens. The thing to remember is that good landscape garden design is all about working with what you’ve got so before visiting the garden centre or flower shoes, you’ll need to assess your garden and type of soil you have so you can be sure that when landscaping your garden, you get the right things for your garden. Here at Outdoor Creations, we have worked on large gardens and small gardens. To see an example of these, just head to the portfolio section of our website.